With more and more smartphones entering the market, it’s time to start comparing them against one another. And this time around, we have two Minis for you which are battling it out against each other. HTC and Samsung have their flagships going up against each other and the same has extended to their Mini versions as well. Today we have for you the HTC One Mini going up against the Samsung Galaxy S4 Mini. 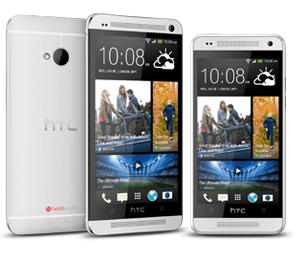 Let us have a comparative look at HTC One Mini and Galaxy S4 Mini. Built: The dimensions of HTC One Mini are 5.20 x 2.49 x 0.36 inches and weighs 122 grams. 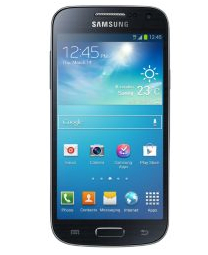 Whereas the dimensions of Galaxy S4 Mini are 4.91 x 2.41 x 0.35 inches and weighs about 107 grams. The HTC One Mini has a way better build quality than the S4 Mini and the HTC’s offering wins in this department. Display: Both the device sport a capacitive multi touch display of 4.3 inch. The resolution and pixel density of HTC One Mini are 720 x 1280 pixels and 341 ppi and that of Galaxy S4 Mini are 540 x 960 pixels and 256 ppi. And the HTC offering wins once again. Processor: Both the smartphone carry Adreno 305 GPU and Qualcomm Snapdragon 400 system chip. HTC One Mini has been equipped with 1400 MHz Krait dual core processor while Galaxy S4 Mini comes with 1700 MHz Krait dual core processor. The smartphones perform almost similarly in real world and this one is a tie. Operating System: Both the devices function on Android 4.2.2 Jelly Bean. HTC One Mini comes with HTC Sense 5 UI whereas Galaxy S4 Mini comes with TouchWiz Nature UX 2.0 UI. And this one is a tie as well. Camera: The HTC One Mini has a 4MP Ultrapixel camera with a 1.9MP shooter up front whereas the S4 Mini has a 8MP camera with a 1.9MP camera on the front. The HTC offering’s camera is a better one any day over the S4 Mini’s camera. Memory: The HTC One Mini comes with a RAM of 1024 MB, 16 GB internal memory and 11 GB user memory. On the other hand, Galaxy S4 Mini carries 1536 MB RAM, 8 GB internal memory, 5 GB user memory and up to 64 GB expandable memory. One has a better RAM and the other one has a better internal memory. Camera: HTC One Mini comes with 4MP rear camera and 1.6MP front facing camera while the Galaxy S4 Mini carries an 8MP rear camera and 1.9MP front facing camera. Their features include LED flash, auto focus, BSI and 1080p video recording. Galaxy S4 Mini also offers geo tagging, face detection, HDR mode, Panorama and other exciting features. Connectivity Features: The connectivity options included in the HTC One Mini are micro USB, Wi-Fi, Bluetooth 4.0, EDGE, GPRS and LTE and the S4 Mini has the same options as well. So they are equal in this department as well. Other Features: Both the devices carry proximity and light sensor, gyroscope, accelerometer and compass. They come with a 3.5 mm audio jack. Battery: Both the devices work in Li-ion battery. The capacitive of the battery of HTC One Mini is 1800 mAh and that of Galaxy S4 Mini is 1900 mAh. Price: The HTC One Mini has been priced around Rs 35,000 whereas the S4 Mini costs around Rs 25,000 and this price difference gives the S4 Mini a lead that the HTC One Mini might not really catch up to. 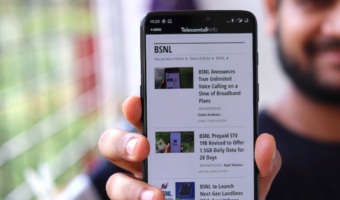 Our Take: Samsung Galaxy S4 Mini appears a better value for money smartphone whereas the One Mini comes across as a better performer. According to me, the S4 Mini is a better one out of the two because at the price of a One Mini, you might as well go in for a S4 or HTC One. Nice comparison Ritij. Yes of course, S4 Mini saves Rs.10K which is quite a big amount.